In The Republic, Plato makes a fairly progressive argument for women's equality, saying that women--even "in spite of wrinkles and ugliness"--should be free to practice "naked in the palaestra, exercising with the men" even though the argument will be viewed as ridiculous by the general public. Far be it from me to criticize this statement. I hope my work on this blog has shown my unwavering devotion to gender equality, and that means if anyone is exercising naked in the palaestra, old women should be allowed to, too, damn it! Still, there's something at work in Plato's claim that is a bit more troubling. See, his claim for men and women being trained equally is part of a larger argument that the perfect city is one in which "the good and true man is of the same pattern." Essentially, Plato's utopian political vision is one in which the personal (and all individuality) is erased as everything becomes part of the public sphere. Plato longs for a world in which diversity has become completely erased because all people see things in their "True" form, and they therefore all see them alike. Plato's Parable of the Cave is an extension of this idea. He desires to give control to irrefutable philosopher-kings because they have stepped outside of the "cave" of human distractions and seen the "real Truth" obscured by our human inadequacies. Plato's desire for a public sphere filled only with people who meet his standard of acceptability is incredibly elitist and narrow-minded, even if it does occasionally bring about moments of progressive inclusion (like that for the naked old ladies). Hannah Arendt criticizes Plato's ideal political sphere harshly in The Human Condition, going so far as to call his desire for utter singularity the longing for "a kind of death" since it is interaction with other human beings that give us our sense of reality. Plato desires a world so uniform and singular that it is essentially, according to Arendt, not a world at all, but she dismisses the gravity of the desire just as quickly by explaining that we can only attain Plato's ideal state temporarily because we must always return to life among other people. 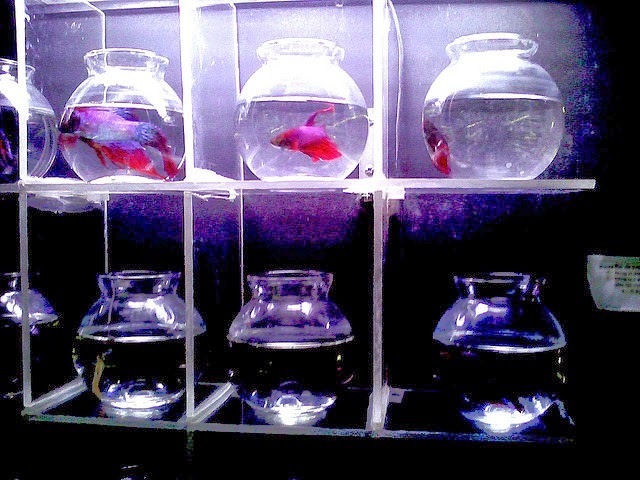 Unlike your pet beta, who is forever alone. This is particularly tied into postmodern ideas about language and the construction of reality. Language is always and necessarily a social act. We create language to build bridges for the gaps between individuals. I use language to get what I think out of my mind and into your mind, and those bridges can be more or less successful, but they are always navigated socially. Postmodernity suggests that our entire realities are constructed out of language, and therefore our realities are socially dependent as well. Aristotle directly challenges Plato's notion of the ideal city in Politics. He explains that "a city is by nature a certain kind of multiplicity; by becoming more of a one it would turn from a city into a household and from a household into a human being." Aristotle maintains divisions between the public, the private, and the individual. He goes so far as to say that while a city should be one in some ways, it cannot be one in every way. To do so, he says, would be like turning "a harmony into unison or rhythm into a single metric foot." Aristotle recognizes that diversity is not only inevitable, but a necessary component of a life lived among human beings, which is the only kind of life one can have if it involves the political. After all, a symphony made up entirely of flutes isn't going to hold the power of one made up of many instruments. A drum line needs people playing different rhythms to make the music worth listening to. The sound of people tapping simultaneously on a snare drum isn't very interesting. I touched upon some of these notions in my last Blogging to My PhD post when I looked at the different ways we discuss the ideal American identity, melting pot vs. patchwork quilt vs. stew. Lately, I've been reminded of the many ways that these ideas creep into our daily interactions as a social group navigating the complexities of simultaneously belonging to a community (no matter how big or small) and being an individual. 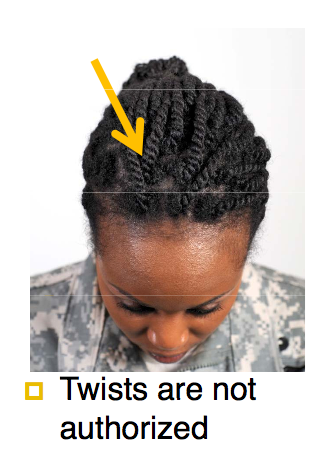 Perhaps you've seen the new U.S. Army hair regulations for women, which are being petitioned for their racially-motivated exclusion. The Army's reasoning for releasing the guidelines is to "maintain uniformity within a military population." The Army, then, is enacting a mini version of Plato's ideal public sphere: the more uniformity, the better. When that need for “uniformity” erases the ethnic differences of a group of women and forces them to constrain themselves to European standards of hair, it presents a serious problem. Plato hides behind the notion of Truth to minimize the elitism in his argument. He's just trying to move everyone to the "right" position, never mind that the "right" position just so happens to be the one most likely occupied by privileged Athenian citizens--like himself. The Army calls for uniformity, but then uses the appearance standards of white hair to enforce that uniformity. Anytime someone calls for a uniform existence, they are calling for (albeit sometimes subtly) the erasure of someone else's expression. Uniformity always functions as a tool for silencing and erasure. If there was nothing to silence or erase, there wouldn't have been a call for uniformity to begin with because there would have been no difference to call attention in the first place. What Do We Lose in a Uniform World? Plato calls for uniformity in order to strengthen the polis, but evidence suggests that Aristotle had the right idea. Not only is diversity an inevitable part of a life lived among other people, but it is desirable. Why? Because we're smarter, more accurate, and better able to make decisions as a diverse group. A recent meta-study looked at the quality of academic research teams. It recorded how many times a team was cited in outside sources (a sign of how important and high-quality it is to the field) and the diversity of the research team that conducted the study and wrote the paper. [P]apers written exclusively by Anglo authors don't do as well as papers that have Anglo authors and, let's say, Chinese authors. But that doesn't necessarily mean that it's a simple equation of listening to more minority voices. The researchers went on to find that diversity was a key component of successful research for minority-led projects, too. If you look at papers that are written exclusively by Chinese authors, those papers tend also not to be as good as papers that are written by diverse teams. Freeman goes on to say that this benefit is not limited to racial diversity. Teams comprised of researchers from multiple states create stronger work than those comprised of members from the same state. 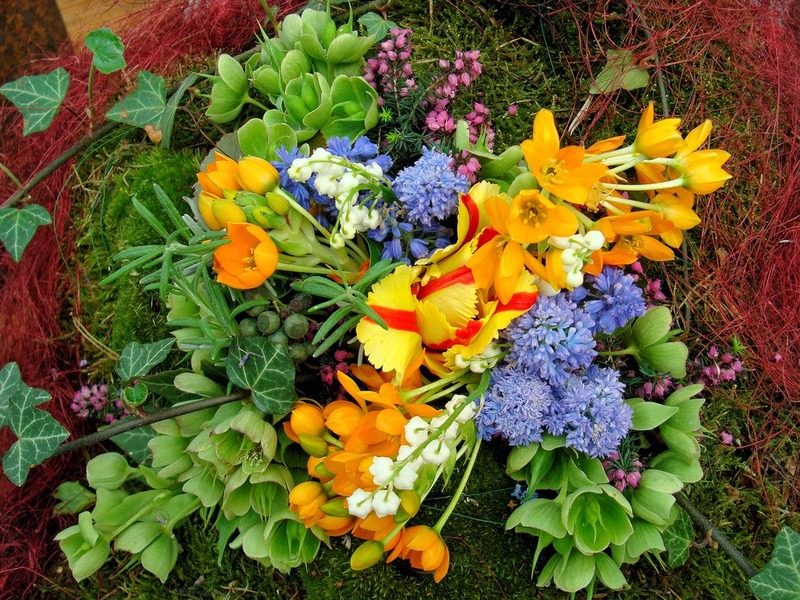 When you have more viewpoints in a myriad of different ways, the work gets stronger. That study is interesting, but it's also not that surprising to me. It makes sense that people from different backgrounds, be they gender, race, geography, age, etc. would be able to look at things in slightly different ways and that those combined perspectives would help bring about innovation and better identify potential pitfalls. What is surprising to me, though, is that people work better as a group even when they're wrong. This morning, I caught an NPR discussion about a group of people who have been chosen to participate in an experiment about global political predictions. These are every day people with no special training and no access to classified information. They're asked to give likelihood percentages for a range of specific questions like "Will North Korea launch a new multistage missile before May 10, 2014?" This project is called The Good Judgment Project (and you can register to participate on their site). Sometimes these Average Joe and Janes are very wrong, but a startling number of them are eerily accurate. The real shock, though, is how good they are as an aggregate. When their predictions are averaged together, they are 30 percent more accurate than CIA agents who have access to classified information. Read that again. These every day people without any special information access are 30 percent better at predicting future events than CIA agents who are trained to do this and have classified information at their fingertips. Thirty per cent is a lot. The idea for looking at the accuracy of a group like this came from an early 20th century ox carcass. People at a fair were asked to guess the ox's weight, and they were staggeringly wrong. Many of them guessed hundreds of pounds over. Some guessed hundreds of pounds under. I can imagine that I would be among them, as I have no ability to tell how much an ox weighs. However, when all of their guesses were averaged together, they amounted to 1,198 pounds. The ox weighed 1,197. What's most interesting to me about this is that we needed people to be really, really wrong in order to get to the right answer. Without the person who guessed 2,200 pounds, we wouldn't be able to cancel out the person who guessed 200 pounds. Getting the best answer in the aggregate means not culling the crowd to find the voices you think will be most accurate. If you do that, you're essentially just picking the voices you think will be most like you because we always judge what's "right" from our own standards (just like Plato). Accepting a wide range of perspectives makes us stronger overall. Diversity is not just a good practice for those who have previously been excluded from the public sphere. Diversity is not, as it is often viewed by those who want to maintain power, just a touchy-feely practice aimed at ethical inclusion. Diversity is actually beneficial to us all in a very real, tangible, and economic sense. Photo: Nathan Rein, Gertrud K.